We all know the future belongs to our kids. But the present… that one depends on the choices of everyone of us. For this reason it’s important to offer to anyone who wish, even outside schools, simple and effective tools to choose in a conscious way what kind of world we want to contribute creating. To educate ourselves and our kids through our day by day example. To live better from today already, while shaping the future of everybody. With #sosteniamoci! my goal is to engage the entire citizen community in an active path leading to the developmente of a true environmental awareness, essential to face the challenges of our time. My goal is to engage the entire community in an active path, leading to the development of a true environmental awareness, essential to face the challenges of our time. What lays just below the surface of the world we see? There is something that is not right in the vision of present and future that media and institutions offer us everyday. If we want to understand what kind of perspectives we really have for the future, we must know where the model that today has entered a profound crisis grows and how it develops. Time has come to think about what data and numbers tell us, rather than keep delegating our lives to the opinions of the well informed. In many cases, complexity is only apparent, hand-crafted by those who want to decide for us. “A little curiosity is enough to understand. #sosteniamoci! is science popularized for everybody: as of today, it represents a cultural, scientific and political tool among the most powerful at our disposal. And very much needed. It is addressed to you citizen, to you building administrator, to you educator, to you association, to you neighborhood centre, to you cultural hub, to you library. To you, who don’t go to school but still want to learn. To you who know that culture is not only required to eat, but that it’s essential to matter. To you, who need the tools to understand better what doesn’t go well, and what could be better. If you are interested or want more informations contact me. We will decide together the shape and details of the event based on your needs, it’s the content and the way we treat it that matters: we will match scientific soundness with simplicity, the trademark of #sosteniamoci! which will allow us to reach ever more people. 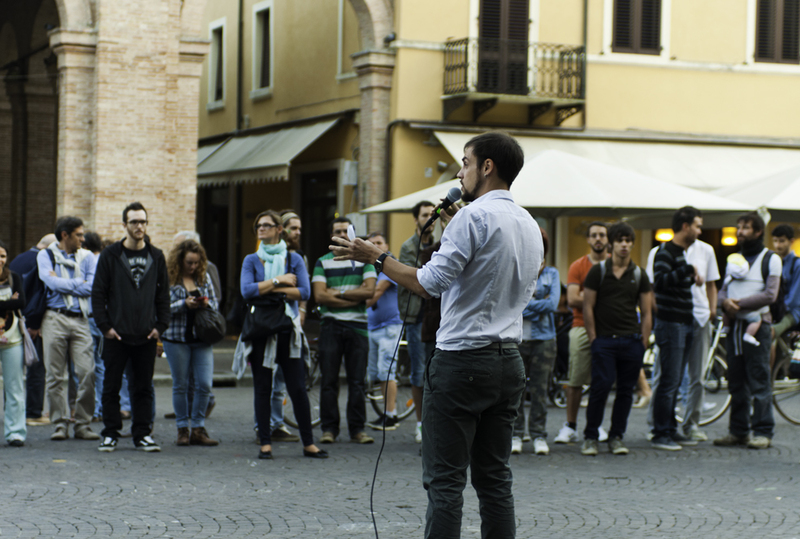 We could organize workshops, cineforums, open debates, specific lectures or tangible actions. Among the contents: energy, wastes, food, water, climate change, mobility, soil loss, money, modern society and much more.